I’m due in December. If she arrives on time she’ll be in our arms around the 10th, if she’s 2 weeks late, she’ll be a Christmas baby and sharing her birthday with my niece which her mother (my sister) nor I are exactly thrilled about. But anyone who has to cater for a bump in the summer months knows how hot it can get and how gross you can feel. I love the summer, normally. I love being able to sit out in the sun, for hours on end, feeling the heat on my skin, sipping drinks with friends, laughing and joking, listening to music, reading a book or exploring new sites. As an individual, not with a mini me inside. But this heat has been unbearable. I can’t even believe I of all people is moaning about it, especially, since this is the first proper summer we’ve had in a while. It’s just that, I really can’t wait for Autumn to start. For it to cool down just for a while, so I can just feel comfortable again. 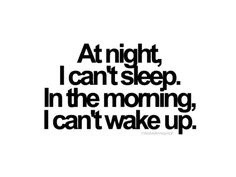 Nights are the absolute worst. I feel like I’m in a hotpot, slowly cooking away, stewing for hours on end. It’s just all a bit too much. 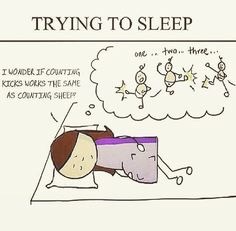 Not only are endless toilet trips annoying enough, trying to get comfy with a kicking dancing baby inside you can also make the whole ‘trying to sleep’ part of the night unimaginable. It can feel quite claustrophobic when trying to sleep but feeling exhausted, achy, hot and bothered and stressed with a very over active imagination, whilst Sam is in the perfect dream world sleeping away. I wish those days where my sleep was uninterrupted could happen presently not be a very distant dream. Even as I write this in the early hours of the morning, with ITV’s Victoria in the background and my breakdancing hip hop starlet moving away inside me, I’m dreaming of a moment when sleep with takeover and I fall into a sleep before the next bathroom break. Thankfully my body can’t take this heat during the day so staying out of the midday sun doesn’t faze me. But being in it is hard work. Being pregnant our core body temperature rises anyway, her little body must be nice and cosy and warm in the colder months so God knows what this heat must feel like to her. We have 40% more blood pumping around our bodies to cope with the needs of our little ones. We can feel easily dehydrated working to keep our bodies cool in the summer heat. Keeping cool and hydrated can be difficult (see my post about how difficult I’m finding it to drink water) but there are other ways to keep yourself cool in the summer. Your midwife will have told you to drink plenty of fluids and you must must must drink 2 litres of water a day. It will mean increased visits to our beloved bathrooms but it will help keep you cool and if you’ve been unfortunate to experience swollen hands or ankles, this definitely helps. Tip: keep a bottle of water in your bag when you leave the house. Don’t gulp your water, sip it. Since finding out I was pregnant, I’ve given up on normal teabags and currently live off decaf, when I do have the odd cuppa. But in the past 2 weeks I’ve drastically cut down on the amount of tea I drink as it makes me feel incredibly dehydrated. Instead I opt for one of my morning smoothies or a glass of cranberry juice. Tip: If you can’t cope without your daily coffee fix, try going decaf. It will make the difference and you won’t spend so much time running to the loo! There are plenty of classes available nationwide that will help mum’s-to-be keep active throughout your pregnancy. The water helps take the weight off your growing belly for a while and the coolness of the water will help cool your body temperature and help ease your aching joints. Tip: if you live near a swimming bath but you’re not keen showing some skin, being a friend with you or your partner. Were advised to eat 5 portions of fruit a day just as an everyday thing, which usually I find borderline impossible. But being pregnant and having her dance away to her own playlist, eating water based fruits have 2 great benefits for me. Tip: if fruit just isn’t your thing, try mashing it up and freezing it in funky ice cube trays and popping it into your water. Ever come home and whipped off your bra in total excitement and put on those ugly lounge pants you wouldn’t normally be seen dead in? Being pregnant makes out body hot and this weather does not help. So dress more freely. If you want to go bra less go bra less, your fellow pregnant ladies will be sighing breaths of relief with you as you unclasp that bra. If you want to wear ugly leggings and a baggy top, you go girl. Anyone who judges you don’t know what the heck it feels like to carry this extra weight. So sod them and think only of you. Tip: avoid wearing your trainers no matter how comfy they are. If it’s hot outside wear a pair of sandals to get air to your tootsies and wear light floaty fabrics that keep the coolness flowing around you. I can’t even when it’s hot not have the duvet near me at some point. Even if it is to cover my feet, I need it like a security blanket. But keeping your room well ventilated is extremely important especially in the summer and when you’re pregnant. Make sure you keep your windows open, your bed linen airy and your bed clothes loose. If you find your body temperature rising, perhaps invest in a fan.